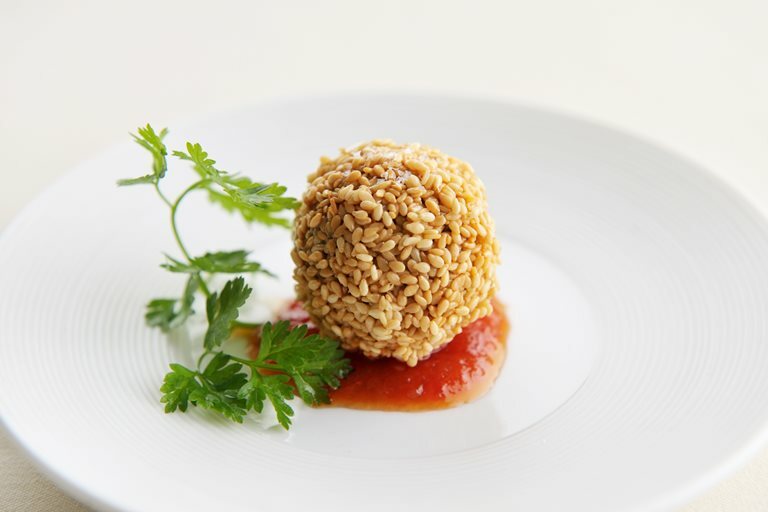 This sesame and cheddar croquettes recipe makes a gloriously crispy snack for any party. James Sommerin serves the canapés with a punchy tomato and chilli jam. You need to start preparing the jam at least a couple of days, preferably a few weeks, before you start the rest of this recipe. Any leftover jam will be delicious with cheese and crackers.